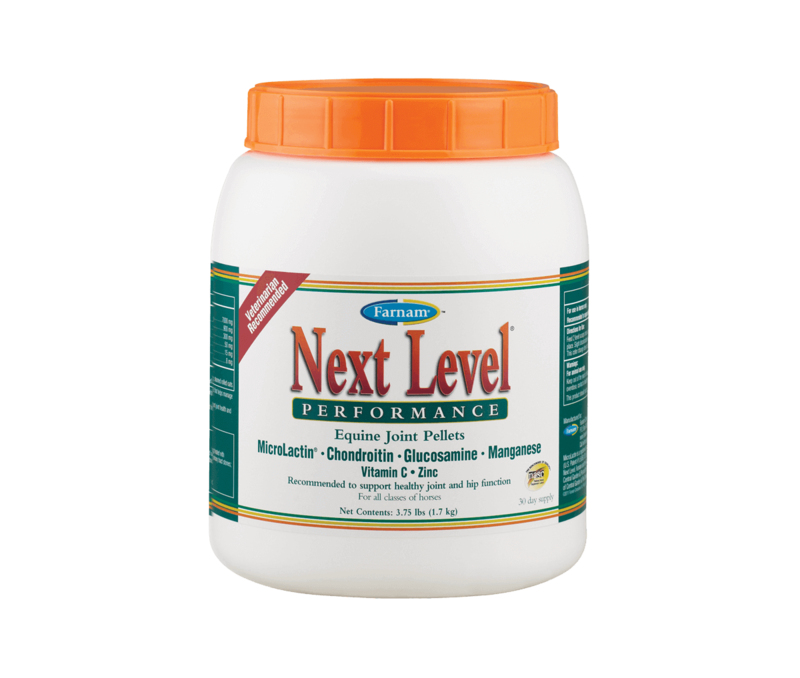 Give your performance horse the extra power of Next Level® Performance in easy-to-give pellets. Contains MicroLactin®* that helps manage inflammation caused by daily exercising and training**. Chondroitin and glucosamine help support the structural integrity of joints and connective tissues and help maintain joint mobility. Feed 2 level scoops once a day or 1 level scoop twice a day. Each level scoop holds 1 ounce. Store in a cool, dry place. Slight discoloration may result if product is stored in excessive heat (>40° C) over time. This color change does not affect the quality or palatability of the product.